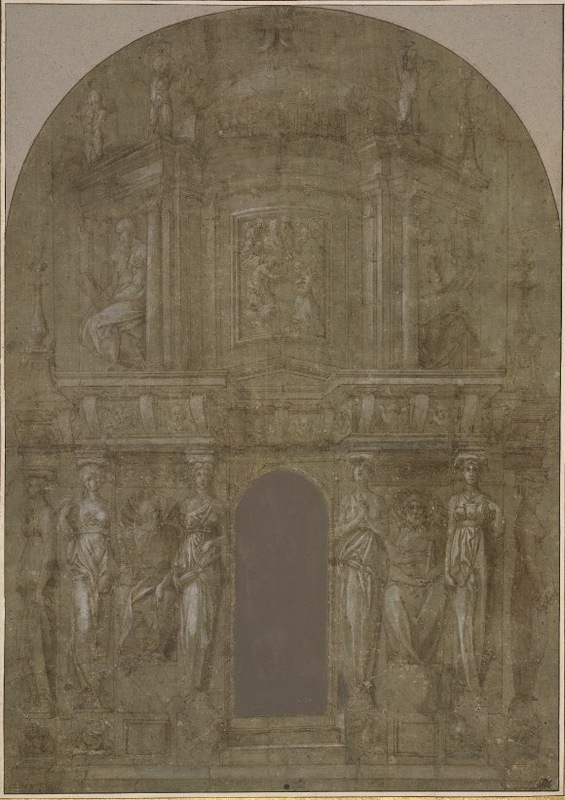 Etching, Anonymous, 30 x 20.4 S (Paris). At the upper right corner is a coat-of-arms with the following in reverse: E R flanking the coat-of-arms, and above it, on a ribbon: ENDIEV •_EST • MA also in reverse. COLLECTION: Paris, Ba 12, fol. 12. For bibliography, see the preceding catalogue entry, E.157. 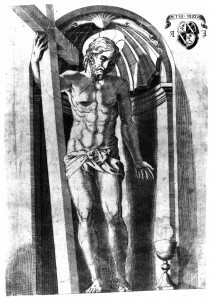 This print is derived, and reversed, from Christ in a Niche II. 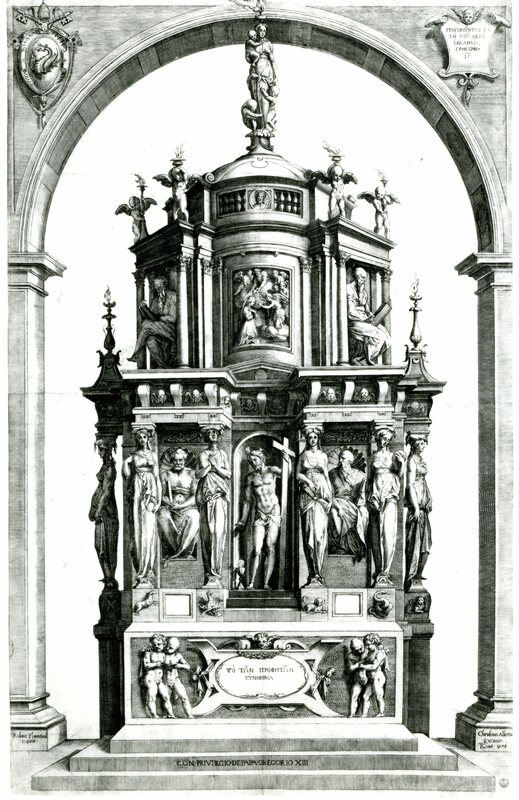 The niche has been widened, and, in addition to the coat-of-arms, a wafer with the scene of the crucifixion has been added above the chalice. 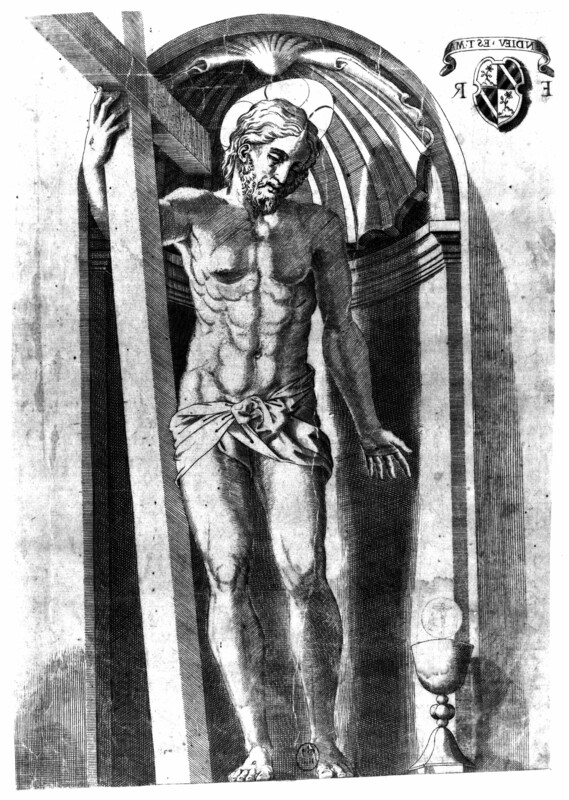 This is the print from which Alberti worked to add the figure in the central niche of his engraving (Fig.E.4a) of Rosso’s Design for an Altar (Fig.D.38a).